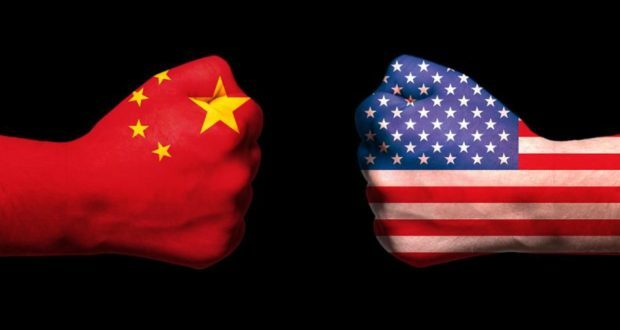 The Ali-Frasier Battle of Tariff Heavyweights: China versus the U.S. The U.S. landed the first punch in what is now a heavyweight title bout with China over trade tariffs. President Trump unleashed $50 billion of tariffs on Chinese goods to begin round one, and finished with accusations of the Chinese theft of intellectual property from U.S. companies. The Chinese government counterpunched by striking the U.S. with tariffs on about $3 billion worth of U.S. imports, hitting 128 products ranging from pork, meat and fruit to steel pipes. Chaos theory and the concept of unintended consequences has many, including Wall Street, wondering if a fluttering butterfly in China could affect how we sell apples to China and the rest of the world. A bit obtuse perhaps, but the trade tariffs between these two giant economies could have enormous impacts on individual companies and industries, affecting GDP as a whole. Trump campaigned on accusations that the Chinese government was guilty of unfair trade practices, which ostensibly puts U.S. companies at a disadvantage. Many international leaders have agreed that China unfairly subsidizes its businesses, and has at times devalued its currency to boost exports. Trump also mentioned this countless times on the campaign trail. Let’s look at the numbers. China exported $505 billion in goods to the U.S., and U.S. companies exported $135 billion in goods to China in 2017, leaving a $370 billion trade deficit, which Trump says has a deleterious effect on our domestic economy. You need to look no further than Walmart to understand the impact of trade with China on the individual American. Ordinary American consumers have more choices for good quality products at better prices thanks to imports from China, exclaim opponents to Chinese tariffs. These imports include final products that China has comparative advantages in making, and also intermediate Chinese goods that U.S. industries use to produce more competitive products and provide better community services in healthcare, education and emergency response. How will this all play out? So far, neither of the heavyweight contenders is backing down going in to round number two. China’s shadow boxing approach is to show it’s willing to stand up to the United States but without going as far as landing a knockout punch that could seriously disrupt the global trading system. As such, Trump will enter round two of the battle trying to find diplomatic footing as his surrounding advisors are reshuffled. With the president’s top trade advisers flying hawkish and aggressive, it may be likely that the referee may have to stop the fight before round three. And as with Ali-Frasier, we know that once it begins, another fight or two are probably just down the road. do t h e n the e f f o r t s to B A L A N C E the Trade Deficit not need to to come from b o t h sides.